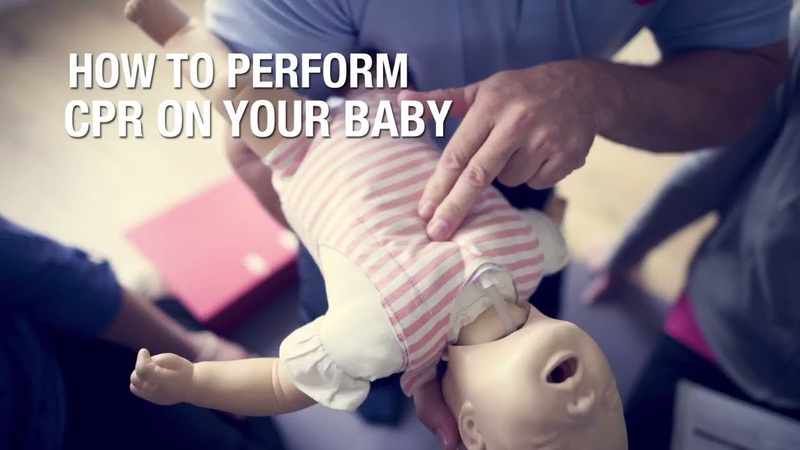 [node:field-transcription]Registered nurse and a CPR expert Richard Pass explains step by step directions on how to perform CPR on infants and little babies. - First of all, CPR stands for Cardio Pulmonary Resuscitation. Heart and lung function, which needs to be restored by the rescuer. Typically, we are now asking parents and anyone who's dealing with someone who's in desperate conditions to take a look for any sign of life whatsoever. And signs of life include any spontaneous breathing and/or moving. If those are absent, and the skin of the victim is discolored, possibly the lips are quite bluish, it is important to start moving and circulating blood to the brain manually. This involves compressing the chest wall and giving several small breaths to the victim. With regard to how much air we blow in, and how we determine its effectiveness, it's a very important question, and the new Heart Association Guidelines ask us to use as little air as possible when blowing in to small victims. So, the recommendation, again, is to cover the nose and mouth of the baby, and blow in just enough air to get that rise and fall, okay? Now watch the chest. So I just delivered those two little rescue breaths. Now that would be interspersed between those 30 pumps. So, it would be 30 pumps on the chest and those two baby breaths. If you blow in lots more air, just hold it down and, blow like that, most of that air is going to be pushed in to the victims stomach. So there's a great interest in keeping that breath just enough to get the chest to rise and fall.